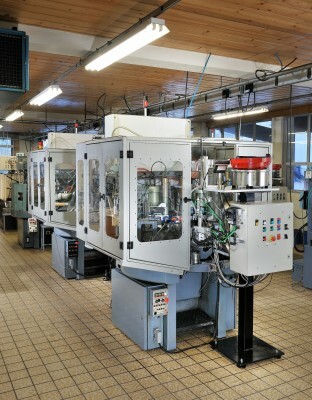 A secondary operation division, consisting of re-working operators who perform their finishing tasks relying on their expertise and continuous training to perform secondary transfer operations or specific re-working on NC lathe allows us to machine average to very large runs on any type of material. All the parts that cannot be finished in bar turning - rough cut parts issued from turning, stamping or pressing - are completed in our secondary operation workshops, where we carry out every day operations: rolling, milling, drilling, tapping, threading and burnishing. Our transfer machines allow several parts to be machined at the same time for high productivity. We have a fleet of secondary NC machines, where the parts are re-worked in clamps or jaws.